Lately, I have seen more customers using DFS Channels to operate their WiFi networks. Dynamic Frequency Selection (DFS) is a WiFi function that enables WLANs to use 5 GHz frequencies that are generally reserved for radars. One main benefit of using DFS channels is to utilize under-serviced frequencies to increase the number of available WiFi channels. In this post, we’ll review some important implications of enabling this function in a WiFi network. If you are planning to use DFS channels, you first have to verify that both your WiFi access points and wireless clients support this functionality. The following table lists the WiFi frequencies in use for the 5 GHz band, including the ones reserved for DFS channels. Table 1 – List of WiFi bands, channels, including DFS ones (US), and associated frequencies. When support for DFS is enabled, it will be necessary for WiFi access points to verify that any radar in proximity is not using DFS frequencies. This process is called Channel Availability Check, and it’s executed during the boot process of an access point (AP) as well as during its normal operations. If the AP detects that a radar is using a particular DFS channel, then it will exclude that channel from the list of available channels. This state will last for 30 minutes, after which the AP will check again if the channel can be used for WiFi transmissions. The Channel Availability Check performed during the boot process can take anywhere between 1 and 10 minutes, depending on which country you’re in. For this reason, DFS channels are not immediately available when an AP boots. As I just wrote, if the AP detects during the boot process that a DFS channel is currently used by a radar, it will mark it as non-available and exclude it from the list of available channels. This process will have little impact on the WiFi clients. However, if an AP detects, during normal operations, that a radar is using a particular channel that is currently in use, then it may communicate to associated WiFi clients to stop transmitting on that channel. (Please be aware that not all AP vendors may announce a channel change to clients.) The AP will then switch to another available DFS channel within the Channel Move Time, which is generally set to 10 seconds. 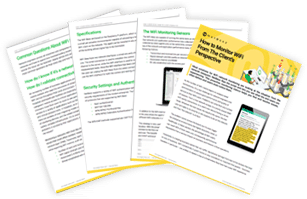 This behavior will cause connected WiFi clients to be disconnected from the network for a period of time before re-connecting to a different channel. It’s very important to keep this behavior in mind when enabling the DFS function. WiFi networks that are servicing real-time and mission-critical applications may want to avoid such disconnections caused by DFS frequencies. As we just described, the Channel Availability Check is required for DFS channels. One thing to keep in mind is that DFS channels will vary from country to country. You can check the Wikipedia page that lists WLAN channels to see your own country’s requirements for DFS and frequencies in general. If you want to learn more about the DFS function in WiFi networks, I recommend reading the FCC document that describes this technology. 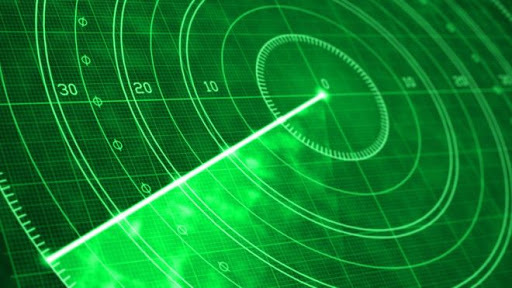 Also, WiFi expert Nigel Bowden has written a more complete and interesting article about DFS on his blog, which includes some background information on radar signals that use the same frequencies used by DFS in WiFi.